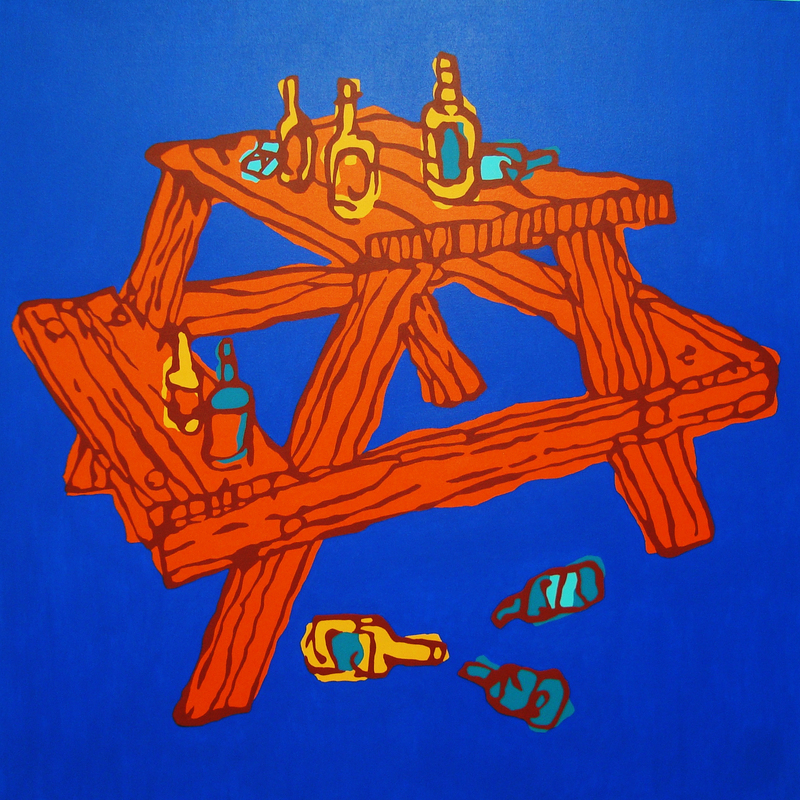 Bush Party (No matter what else happens, that table is getting burnt at the end of the night), by Rob Elliott. 36″x36″, acrylic on canvas, 2017. MINE!! It’s in our dining room and we LOVE it.